Making Your Home Safer & Putting Up Boundaries Has Never Been Easier! 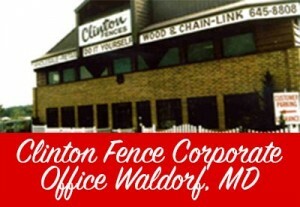 Clinton Fence Co. is a family owned business with over 60 years experience in fencing and decking. It is with pleasure and pride that we take care of our customers needs in and beyond Southern Maryland. We specialize in ALL types of fencing and gates from wood, to vinyl, wrought iron, chain-link and aluminum. Our crews work directly for our company and are professional and courteous. 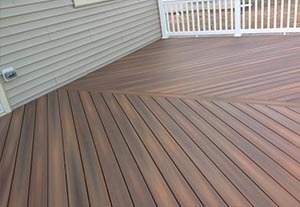 If it is a deck your looking for, we can take care of that as well. We build our decks to code and always pull a permit to assure you of safety and protect the investment of your home. Estimates for property enhancements are available from our deck company and fence contractors in Waldorf, Maryland. Join our mailing list and GET THIS DETAILED BOOK ABOUT HOME REPAIRS!! It's our gift to you. THIS "Fix It" Book will help you experience home improvements in a fun and easy fashion. With these handyman secrets you'll learn to fix like a pro in no time. Itching to start a new home remodel project? This book can help. From attics to basements and lighting to flooring, this bundle has tons of tips for the Do-It-Yourself homeowner. Dear George, It was a pleasure to have our new stockade fence installed by Clinton Fence, thank you so much! James and his crew were such nice gentlemen and what a beautiful job! A+++++ all around, excellent job! We LOVE it! I had a fence put in by Clinton and they made the process totally painless. They were the first place in southern maryland to return my call AND show up to give me a quote on time. 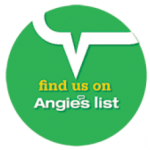 George was extremely helpful (no bad mouthing other companies like other reviewers experienced) and he even had the info and paperwork I needed to get approval from my HOA. All the work was done over 2 days while I was at work so I didn't even have to take vacation days to be there. I am extremely happy with the results and the price I paid for the service. I will be using Clinton for my future porch project and I have recommended them to a friend who is equally satisfied with their service. Mr. George Bowles sat with my wife and I concerning a 6 Ft. White Vinyl fence to enclose the entire back yard totaling 380 Ft. of fence. He provided extreme detail as to the construction, quality, and timing on completion, ALL met as stated. I recently discovered that a TREE branch had fallen and cracked a portion of the TOP rail in the back end of the yard, he took-a-look, and repaired it the next day for a 2 figure dollar amount. I know great customer service because I demand it, and I myself provide it to my customers in the IT field. Mr. George Bowles backs up what he says, and anyone stating otherwise, must not know how to demand, expect, and evaluate Great Service...Mr. G..
My numerous experiences with Mr. George Bowles @Clinton Fence have been GREAT! His professional demeanor and understanding of projects I need are profound. He explains the work process very effectively and makes himself available 7 days a week for any followup questions and/or work modifications. I've also been satisfied with the materials used and the individuals that work with him. There is no other company I would use for any work at my home because of my complete confidence and satisfaction in Mr. Bowles. I just got my fenced placed in my backyard. I'm very pleased. The estimate appointment was very quick to book and once the HOA approval came in, they were right to work. Very nice, very quick and good quality. George Bowles with Clinton Fence is a unique salesman and a man of his word. He brought our vision of an attractive fence for our property to life! We love the results. Subsequently within a few months we used the company again. George Bowles was the salesman for Clinton Fence, which I hired to design and install my fence. I am very pleased with the help and professionalism maintained throughout the duration of the job. George provided valuable information and suggestions that assist in the peace my family and I enjoy today, Thank you Mr. Bowles, I will continue to refer your company. I just had my deck built and they did a phenomenal job! There was a minor issue that was quickly resolved, but overall i highly recommend Clinton Fence. They are extremely nice, and super professional. I would definitely recommend them moving forward!! 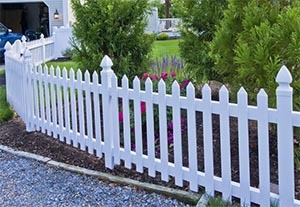 Expert project management from reliable and courteous fence installation professionals. They gave me one competitive price for the total cost of fence with installation that covered everything from delivery and installation to the final cleanup. Do you still service the Northern Virginia (Fairfax) area? Evidently, Clinton Fence our privacy fence in 1992 and I was wondering if you still serviced this area. Thanks! Do you service the Laurel area? Reply: Jean, Yes Clinton Fence does service the Laurel area. 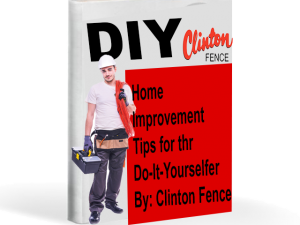 I had Clinton Fence repair steps in my garage and add steps off the back of my garage. They were a little on the expensive - but did really nice work. I was in a bind and need someone to get the job done fast - they did a fast quality job. Thanks!